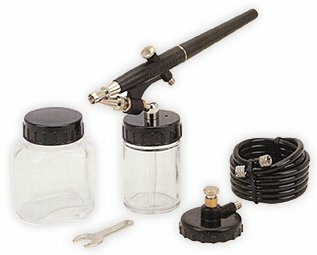 AB-101A Airbrush Single ActionExternal Mix, Single Action, Siphon FeedGreat for beginnersSimple to use and delivers great results. 2 bottles (22 & 50 C.C.) and air hose included.